Physical Therapy Diagnosis: Do doctors of physical therapy need to call themselves 'Doctor'? I wonder how the rest of the profession should view my physical therapist colleague who, having earned her Doctor of Physical Therapy (DPT) degree from a prestigious university, won't call herself doctor. Not only will she not call herself doctor in the clinic, she asks people who DO call her doctor NOT to do so again. I feel disappointed in her, not just because of her behavior, but for the reason she gives people, such as the front desk clerks in the physical therapy clinic, the equipment vendors and the patients when they initially call her doctor. "I'm not a medical doctor, like some of the physicians I work with, and I don't feel confident that my expertise compares to their expertise - even though we each claim separate bodies of knowledge." She is still young - only about four years out of her DPT degree. She works in a setting where she is in close contact with physicians - a physician-owned physical therapy clinic. Physical Therapy will be provided by physical therapists who are doctors of physical therapy, recognized by consumers and other health care professionals as the practitioners of choice to whom consumers have direct access for the diagnosis of, interventions for, and prevention of impairments, activity limitations, participation restrictions, and environmental barriers related to movement, function, and health. Do doctors of physical therapy need to call themselves Doctor? "In a credential society, such certifications may become more important than actual skills or abilities. In some cases, employers may require formal credentials, such as an advanced academic degree, for a job that can be done perfectly well by applying skills acquired through experience or informal study. This type of credentialism is common in white-collar jobs, which require workers to have difficult-to-measure skills such as critical thinking. Rather than measure or evaluate those skills directly, employers assume that anyone able to earn a credential must possess those skills." 'Skilled physical therapy' is a phrase that can provoke endless discussions among bloggers and commenters. There is a link between greater education and better results for patients. More importantly, the DPT credential is, I think, an important step in the social legitimization of the physical therapist skill set. 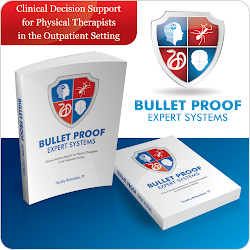 Physical therapists need to use the term Doctor to fully capture their investment in the time and money, not to mention for the benefit of the physical therapy profession as a whole. Physical therapists do have one of those hard-to-measure skill set noted by Collins. So do physicians. In hospitals, the physician credential is NOT optional. The culture of medicine does not allow physicians to communicate with patients using their first names. "What professionalism boils down to for me is being the strongest advocate for your patient that you possibly can be... Not that you have to be a DPT to be a strong patient advocate but I personally gained so much confidence..."
American society will need doctor-level professionals to manage the burgeoning rolls of newly-insured patients who have just become eligible for health insurance coverage on October 1st, 2013 under ObamaCare. America's 800,000 physicians will face an increase in demand for their services - that, in some cases, they may be unable to deliver. I first wrote about this in Can Physical Therapists Replace Physicians as Primary Care Providers in Hospitals? in a November 2011 blogpost on PhysicalTherapyDiagnosis.com. This post got a good response and a lot of traffic. Every day, I read about non-physician providers stepping up to fill the demand in America for appropriate, high-quality services the patients need. Cost and risk are both considered when society shifts tasks away from what physicians have traditionally done. This article describes Physician Assistants providing basic care to rural and underserved communities. Physical therapists can fill those roles for patients with chronic pain, sports injuries and other, low-risk conditions. But first, society needs to understand and accept that the profession of physical therapists is a doctoring profession. We should call ourselves 'Doctor'. The American Physical Therapy Association (APTA) maintains a professionalism webpage which contains the core documents defining and describing professionalism in physical therapy. I wonder if commenters to this blog can help me? What can I say to my colleague to encourage her to call herself Doctor? How can I help her gain confidence so her patients and the physicians she works with can call her Doctor, too?